Chili Cheese Pasta is one of the best ways to use up leftover chili or chili that you have in the freezer. It is quick and easy to make and kids love it! 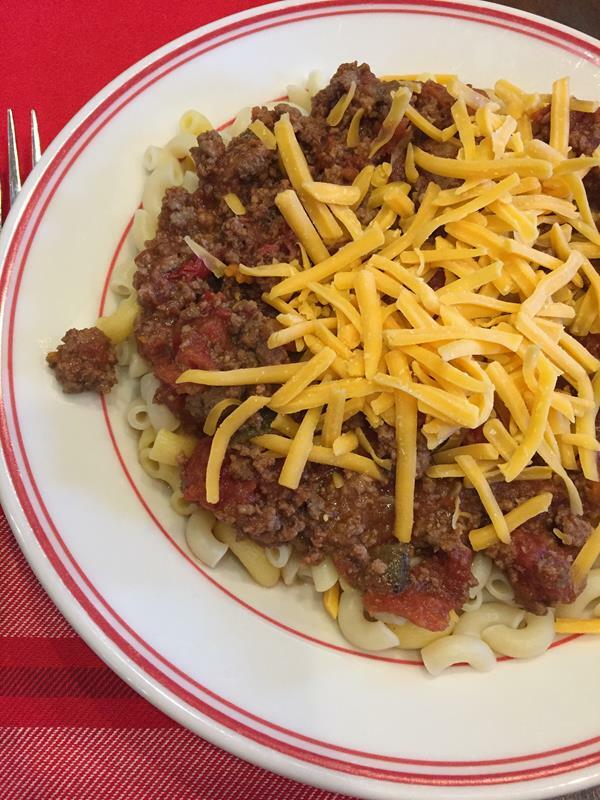 I took the pictures for Chili Cheese Pasta last fall, but never shared the recipe with you. It is one of those recipes that I make all the time, but have never shared. My family eats this all the time. It is one of my favorite ways to use up leftover chili or chili from the freezer. I mentioned earlier this week that I love to make a double or triple batch of homemade chili so that we can have it for dinner for several nights. The first night or two we eat it as chili, but after that I change it up and serve it in all kinds of ways to make it different. That way my family doesn’t feel like they are eating the same meal over and over again. 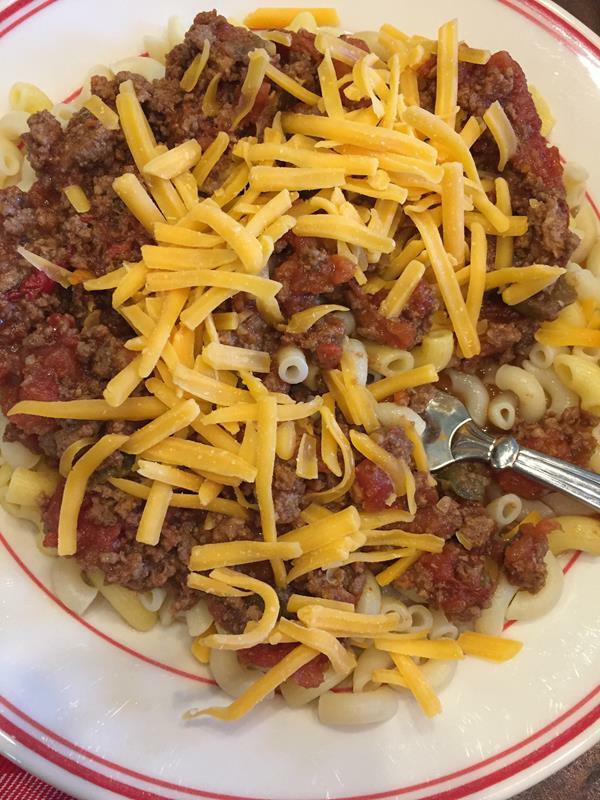 This chili cheese pasta is one of our favorite ways to serve that leftover chili. It is also a great way to use chili that I keep in the freezer. Yes, I almost always have chili in the freezer. Taco meat, homemade meatballs, and chili are my go to freezer meals. The main reason I haven’t shared this recipe is that it is not really a recipe. It is three basic ingredients, with the main one being leftover chili. We have this so often though that I knew I finally needed to share it. This is one of those recipes that is so basic and you can change it up for the amount of chili you have or the amount of people that you are serving. These are my favorite homemade chili recipes. My favorite ways to use leftover chili. 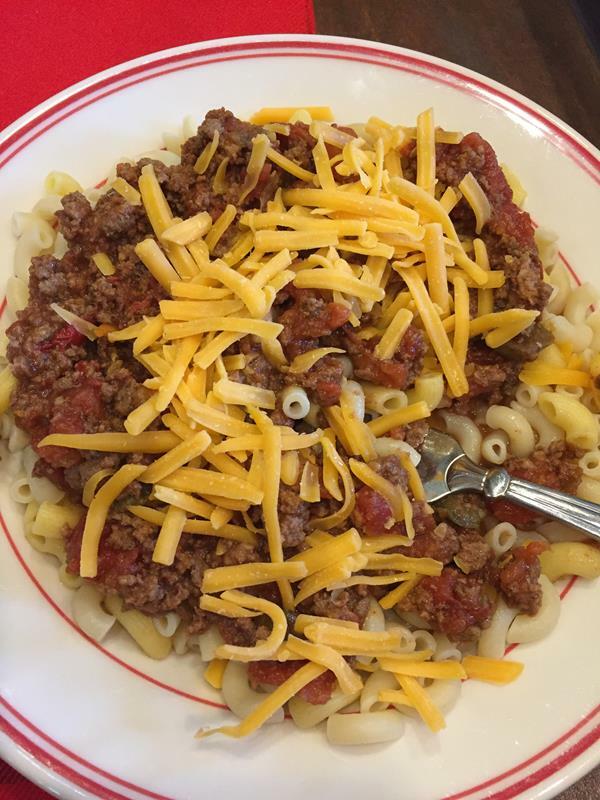 Chili Cheese Pasta is an easy and delicious way to use up leftover chili or chili that you have in the freezer. 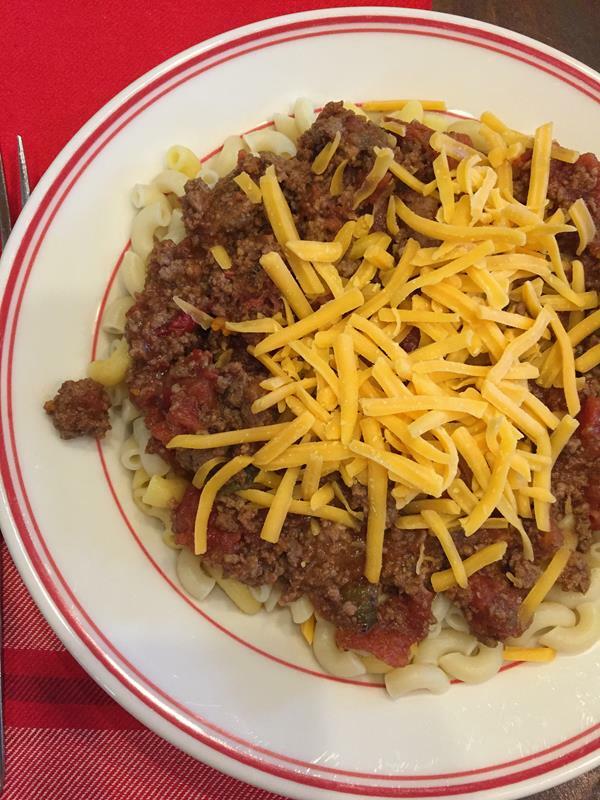 Serve chili over pasta and sprinkle with cheese.